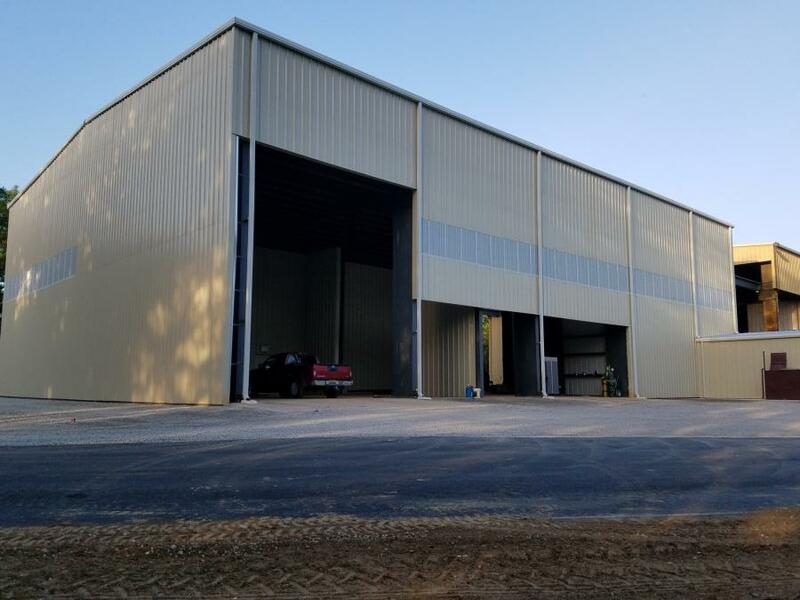 Mack Manufacturing’s new 10,800 sq. ft. prep shop was four years in the planning. Mack Manufacturing, an American leader in heavy-duty hydraulic grapples, grabs and clam shell buckets, recently completed construction of a 10,800 sq. 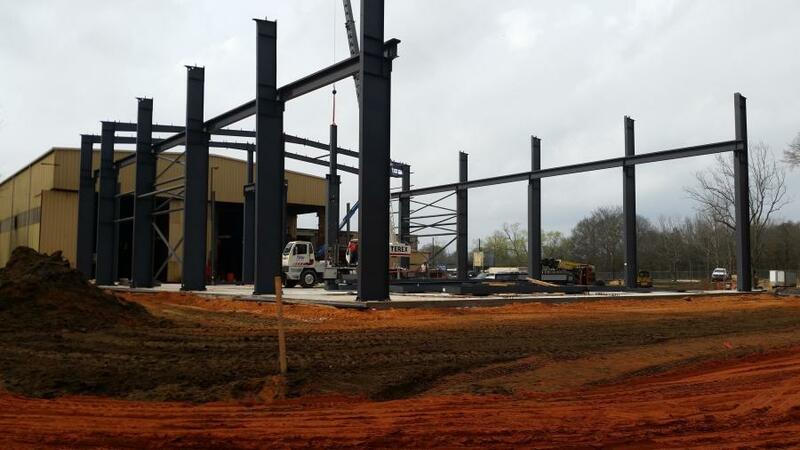 ft. expansion that has allowed new efficiencies throughout its production process. The new facilities are housed in a standalone building adjacent to the main plant. Mack acquired additional property for its 11 acre site to accommodate the added space. Four years in planning and construction, the structure now houses all of Mack's assembly and finishing operations, up to final shipping. According to Matt Davidson, vice president of sales & marketing, the expansion is a major step forward for the company's production line. It houses a wide range of processes — assembling fabricated components, sandblasting, paint, crating and shipping. All those activities previously shared a 100 by 45 ft. area in the main plant. Now, with almost three times as much space to work with, each operation has the dedicated space it requires, laid out specifically to allow for significant improvements to the workflow. The improvements also include upgraded technologies such as a closed-loop recovery and purification system for its high pressure washing area, and a fully sealed steel-grit sandblasting stage that reduces the cost of consumable material and enhances its environmental controls. In the main plant, the former prep shop is now home to Mack's hydraulic shop. Davidson said that the move led to a reorganization of its cylinder production, machining and fabrication areas that reduces handling and streamlines the overall manufacturing process. Now in its fourth generation of operation, Mack's head office and manufacturing site now totals more than 60,000 sq. ft. dedicated to its “quality first” engineering and production of clam shell buckets, grapples and grabs for all overhead and mobile material handling applications including: logging, aggregates, scrap, waste handling, dredging and ship unloading. For more information on Mack Manufacturing, visit www.mackmfg.com.